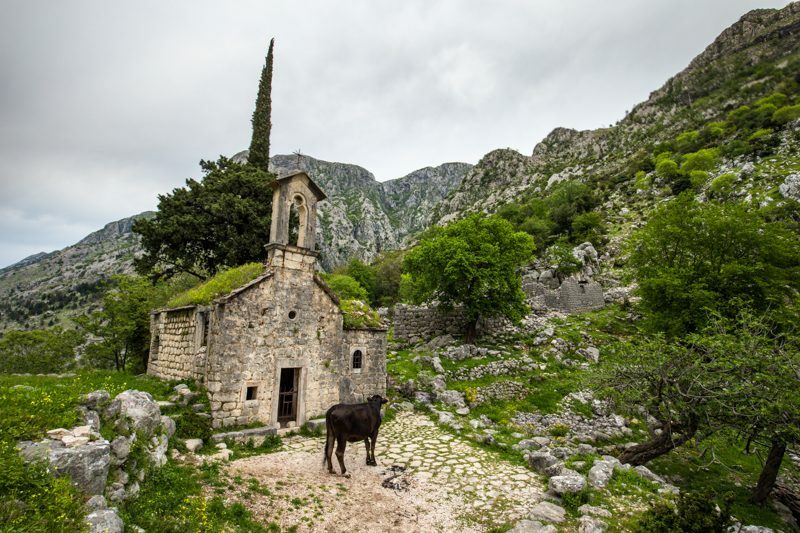 When I mentioned Montenegro as a potential location to spend a couple weeks, my social medias exploded with people shouting a resounding “yes!”. 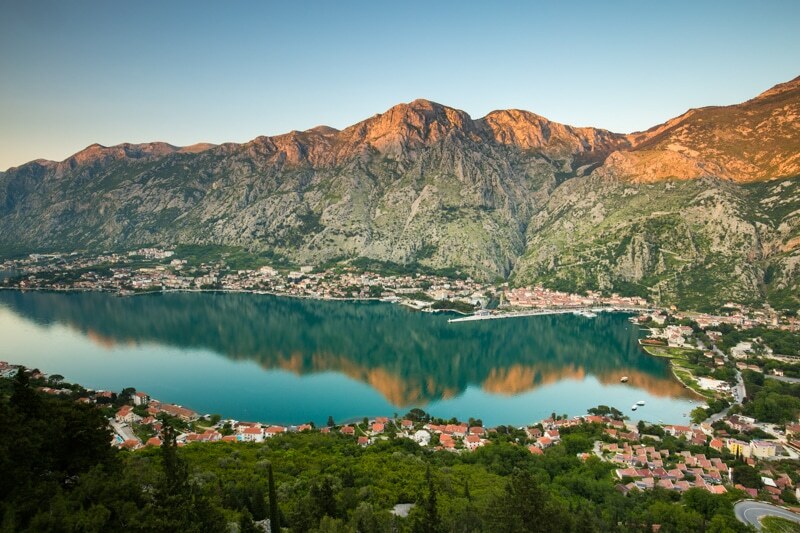 In particular, they pushed me to go to Kotor, a small historic town settled into the southernmost fjord in Europe. Within a minute of arriving, I understood why so many people were taken by this destination. It’s absolutely spectacular. Though my travel schedule is generally pretty quick, I spent a full two weeks in Kotor to give myself enough time to shoot photography, relax a bit, and get some “office work” done on my computer. Over those two weeks, I shot a half dozen or so locations, so I thought I’d put together a bit of a travel photography guide to Kotor. Whether you’re hear for a week, or you’re just stopping off for a couple hours off the cruise ship, there should be ample options below for you to choose from. 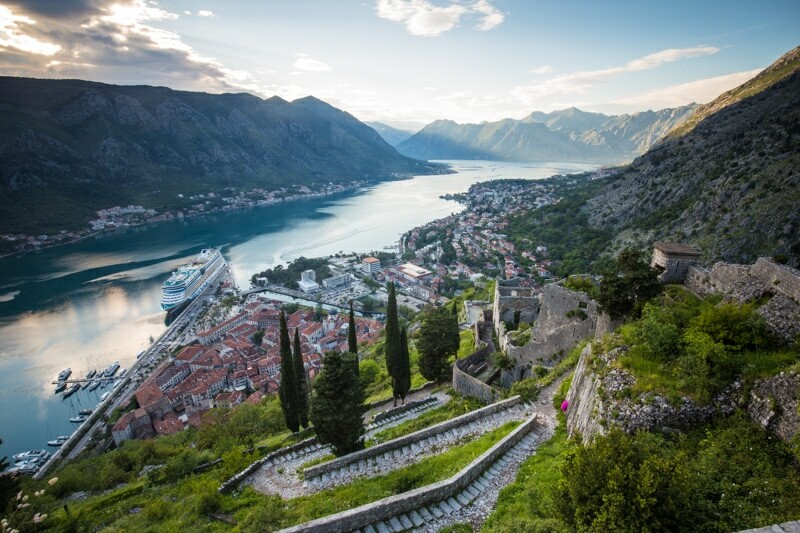 A climb up towards the fortress is the most obvious place to look for the best views of Kotor. However, before you get to the fortress you’ll pass Saint John Cathedral which is about halfway to the top. The cathedral makes for a great photo location. 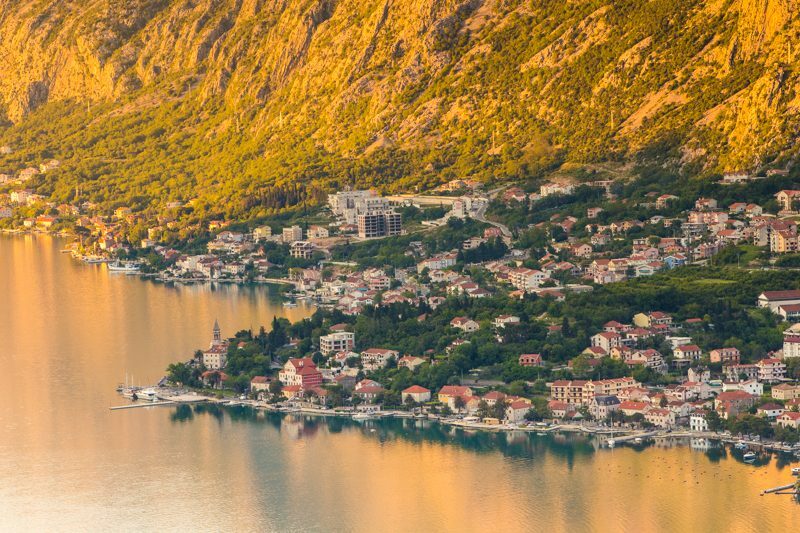 It adds some scale to the city below it, and is great both on its own and as an element in a cityscape image of Kotor. If found this to be a great spot for sunrise, but it also works at sunset. 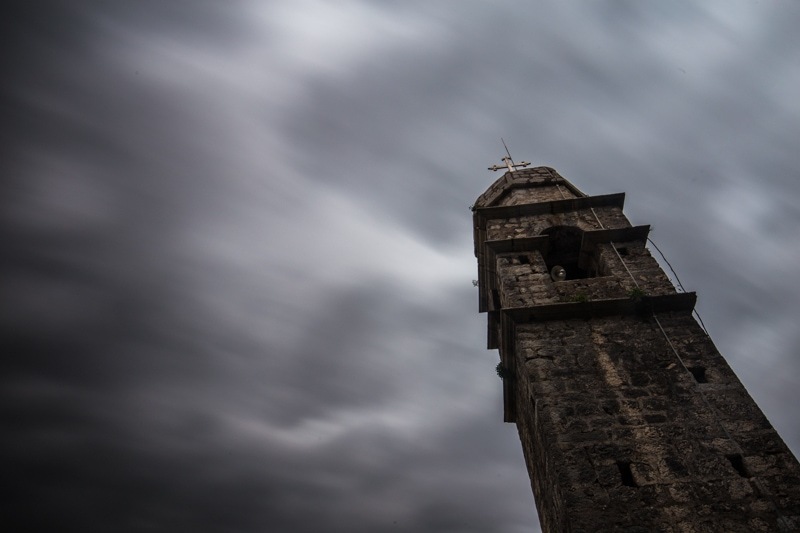 Long exposure of the Church tower. After climbing past Saint John Cathedral, the walk up to the fortress will leave you with dozens of great locations for massive overviews of Kotor and the bay. There’s no one particular place on the trail that’s significantly better than another, but just before you reach the fortress itself, there’s a bit of a platform/open area that is a great spot to set up a tripod. I think the views are better from just below the fortress rather than right on top of it. It depends on the time of year and the angle of the light, but this is again a better sunrise location than sunset, although either work. This was my favourite photography location in Kotor, and though I didn’t get good light when I was here, I got some decent photos. I also go some pretty cool drone footage from here. Check out my vlog from the church for that footage. This is a great location for sunset in the summer because on a clear day the light will hit the peaks behind the church and you should get beautiful alpine glow. I wasn’t so lucky, and both days I tried to shoot this location it was really overcast. As far as I know, this church is unnamed. I’ve just been calling it The Grass Roofed Church. To get here, there are two ways. 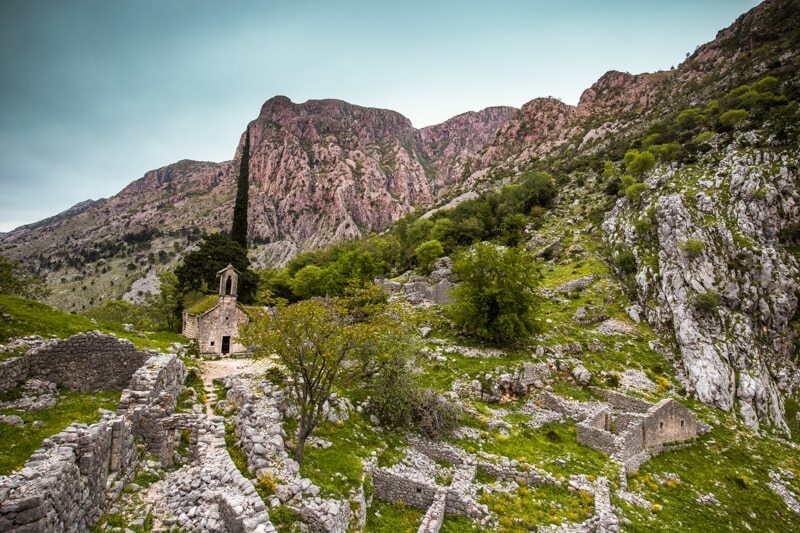 You can hike almost all the way up to the fortress from the old town, find the trail that leads to the other side of the wall, and then down to church, for one. If you don’t care about the fortress, it’s a shorter and easier hike to walk from the trail from outside of old town. To find this trail head, go to the shopping mall, then walk down the road closest to the canal and old town. You’ll eventually reach the end of the road and the trail, which also leads to the waterfall. A cow at my church. The waterfall isn’t a fantastic photography location, but it’s worth a stop for a couple minutes. The instructions to get here are above in the previous section. It’s also worth noting that the waterfall can be more or less impressive based on the rains. For example, when I walked past it the first day it had just rained for about 12 hours and the flow was beautiful. When I finally came back to photograph it, it was much weaker and less impressive. 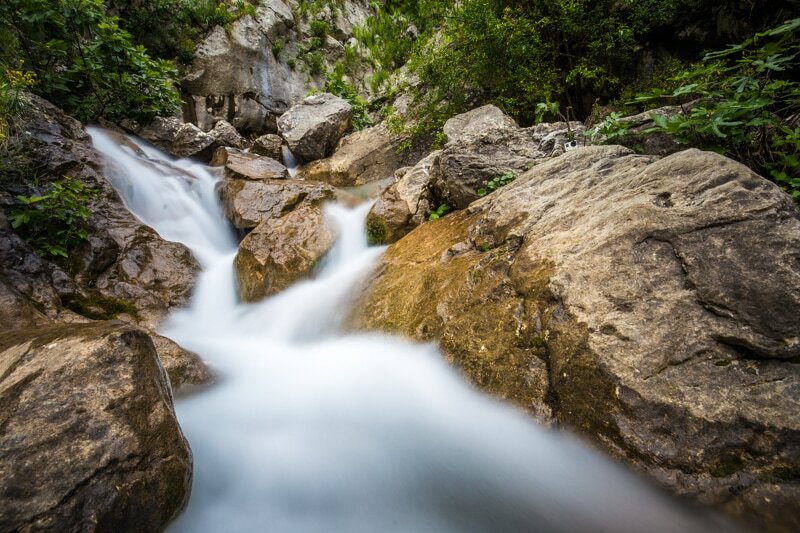 Still, a nice slow shutter gives a nice silky smooth effect on the waterfall. 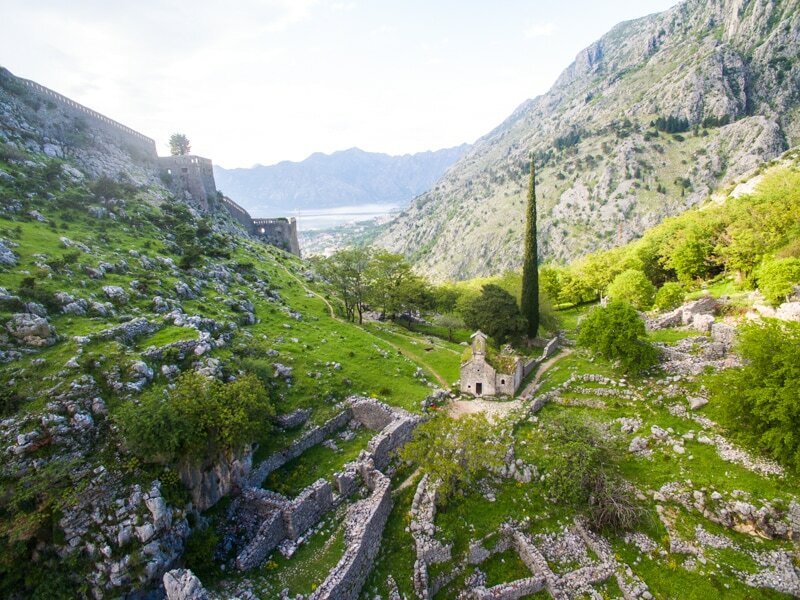 This was an amazing photography location, and one of the best views of Kotor. But, you don’t have to hike all the way to the fort for the views – and to be honest, the fort itself is pretty lame. The best views are about halfway to the top in some clearings. To get here, it’s about 2kms from old town to the trail head. The trail is marked on google maps, though when you arrive at what looks like the trail head on the map, it’s actually someone’s house. So, when you get there, find the trail that leads downhill towards the bay, and then there’s a pretty rough-looking trail up through the bush – that’s the trail. It gets more clean as you get farther on the trail. This is definitely a place to photograph sunset. The afternoon glow lights up the mountains and if the weather is calm you get an amazing reflection of the mountains on the water. If you can, come up here on a day where there isn’t a lot of clouds so you get that amazing alpine glow on the top of the mountains. 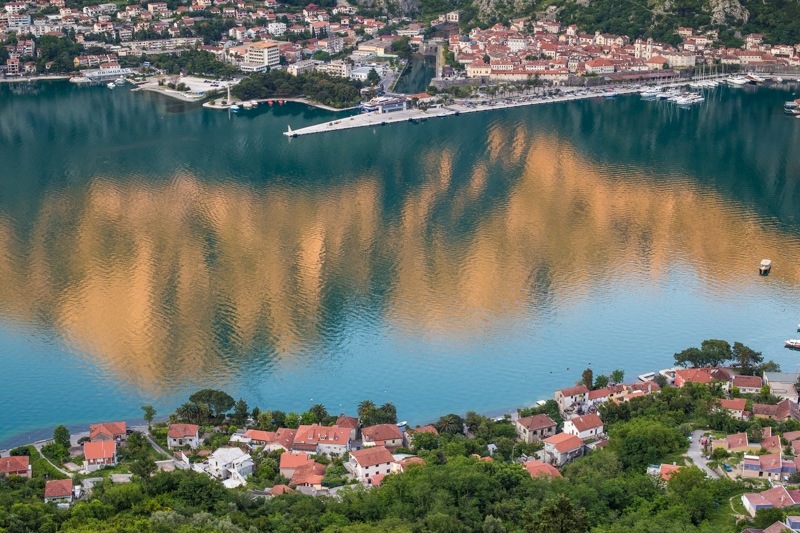 Reflections of Kotor and the mountains. Kotor’s old town is really cool. But, it’s a bit of a challenge to photograph it from the inside. The alleys are just so narrow, and it’s hard to capture it all. That said, if you come before sunrise during the blue hour you’ll have the alleyways all to yourself and it’s a lot of fun to shoot. One of my favourite old town locations was at the northern gates. There, I could use the gate in the stone wall as a frame for one of the cathedrals. The other cathedrals in the old town are pretty cool as well. The gate to Old Town. About 10-12km from Kotor is the town of Perast. And well the town itself is absolutely beautiful, and worthy of a visit to photograph it, the best shots of the town are from the other side of the bay of Donji Stoliv. 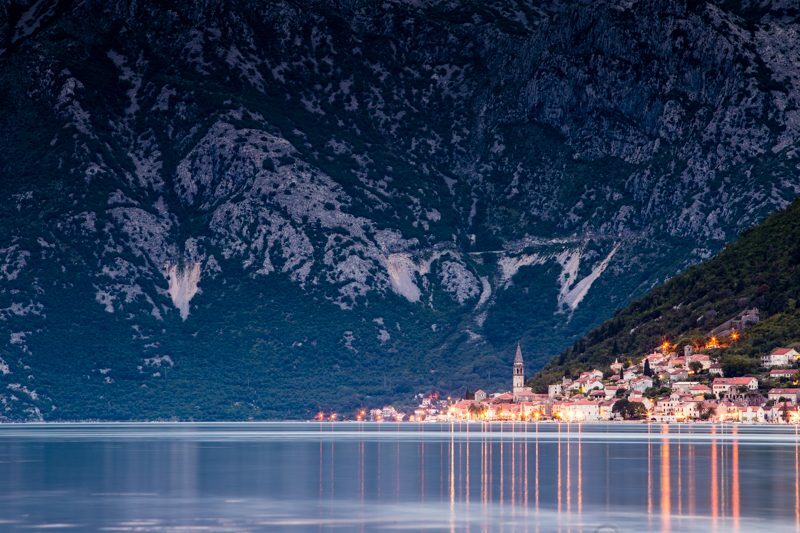 Take a telephoto lens with you and it will lead to some really cool compression of Perast against the mountains. 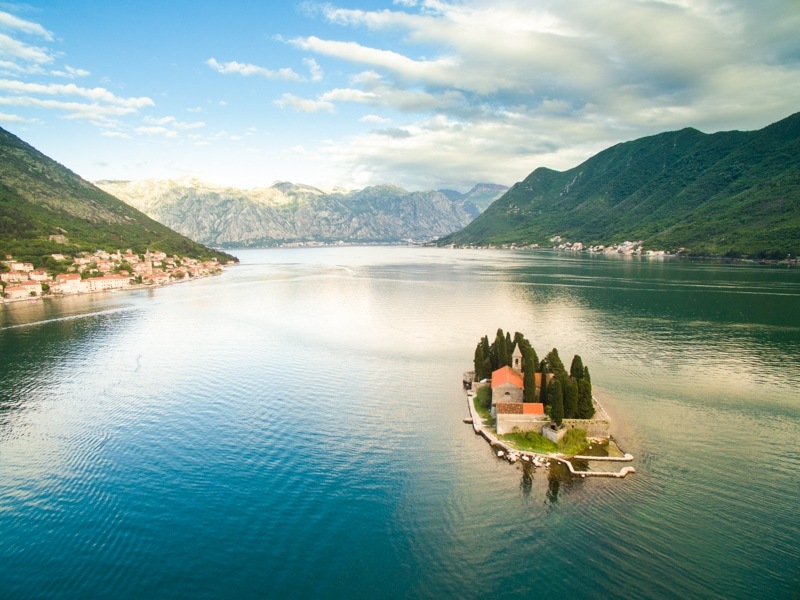 Also, if you’re in Perast, you must also visit Sveti Dordje which is a natural island with a beautiful old church on it. There are regular boat trips out to see the island from town. It’s a bit hard to capture from a photography standpoint – I used my drone which helped a lot – but it’s still definitely worth a visit. I took some drone footage with my Dji Phantom 3 well in Kotor. Here are a couple of my favourite drone images from in and around the city. The grass roofed church from the drone. 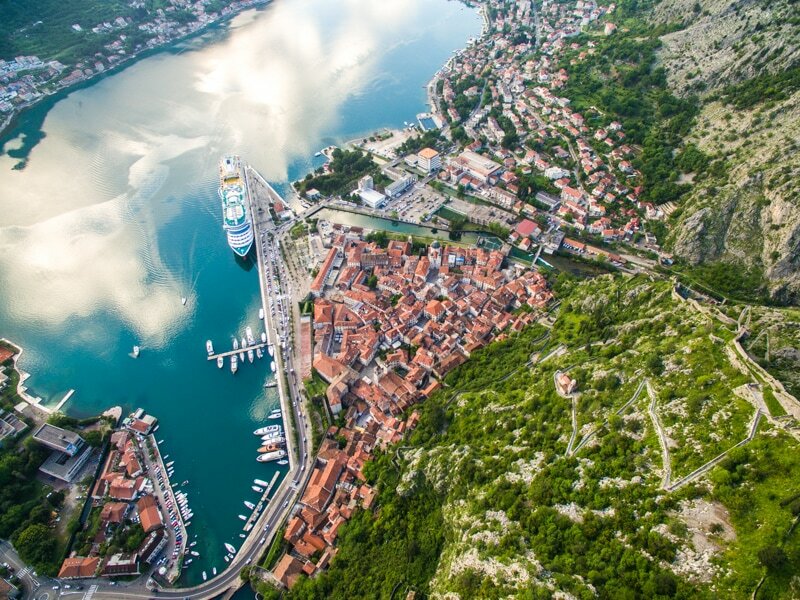 Kotor Old Town from the Drone. The island church from the drone. 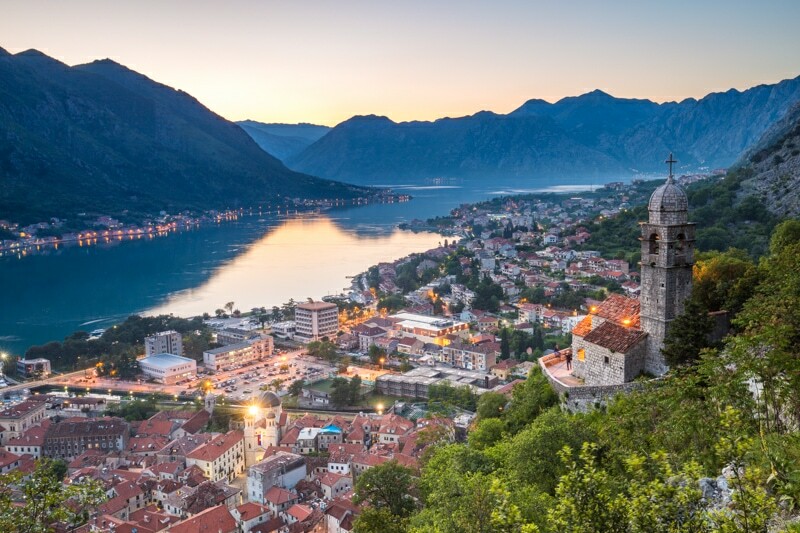 There are lots of options in Kotor, but note that in the high season the prices skyrocket. A visit in the shoulder months of May/June or September/October are ideal. I stayed at the Art Hostel which was fantastic. It’s not as much a hostel as it is a shared apartment. 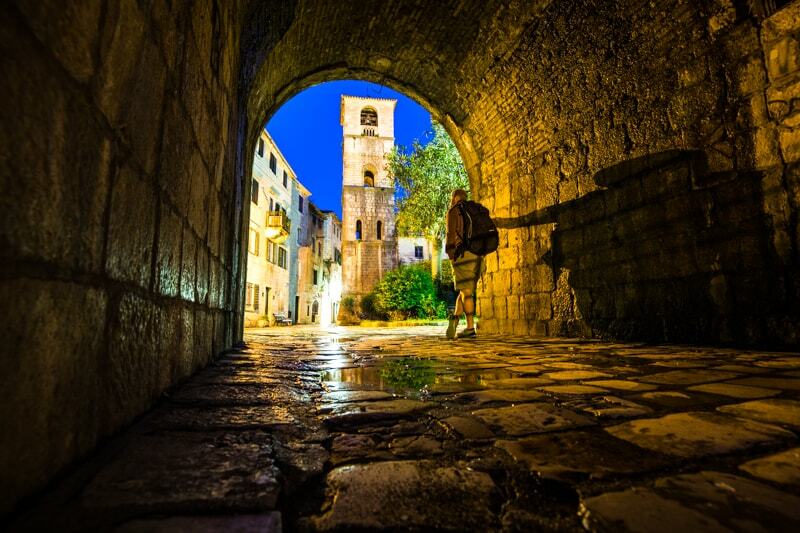 It’s over in the town of Dobrota, but only about a 10 minute walk from the main gates of Kotor’s old town. To book there, head over to AirBnb and search for “Art Hostel Kotor”. Another budget option in Kotor is the Montenegro Hostel, which actually has hostels all over the country. They have on property inside the old town of Kotor. Inside the old town there’s a lot of different places to eat. But, you’ll find the prices are about double or triple inside the wall than they are outside. I honestly didn’t eat out very often in town, and instead did grocery shopping as I was trying to save money. But, I did find an awesome place called Tanjga which had some of the best grilled meat and veggies that I’ve had anywhere in the world. Though Kotor itself is quite small, I found not having wheels a little bit limiting. There are buses that go around the bay, but the schedule is a bit erratic and hard to figure out if you’re a tourist. Personally, if I were to do it again, I would have rented a car for one or two of my days in town. 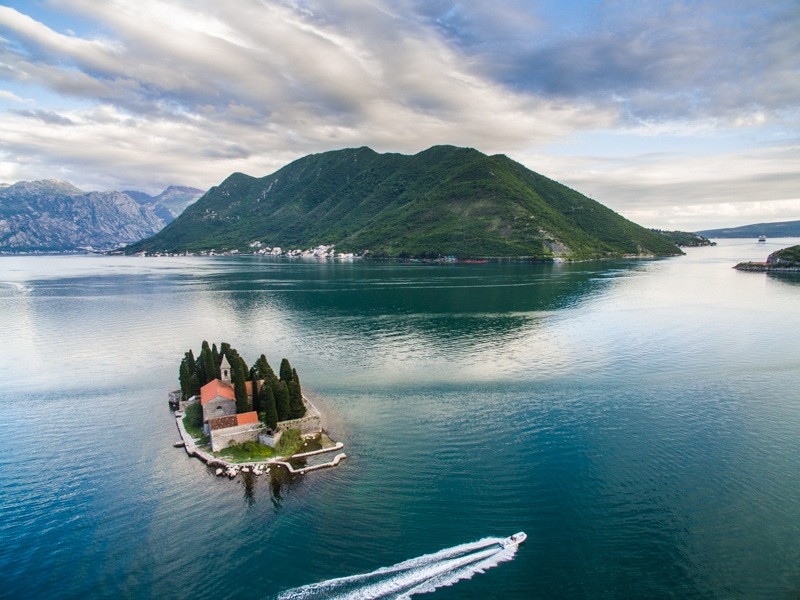 It would have made it easier to get to Perast and to some photography locations above and around the bay. That said, taxis are extremely reasonable in Kotor. I’m guessing that the rate, for example, to get to Perast is only about 5 Euros. So, even though I walked all over the place, as you can see in my vlog about it below, you can take taxis at a great rate. I’m still in Montenegro for a little bit. 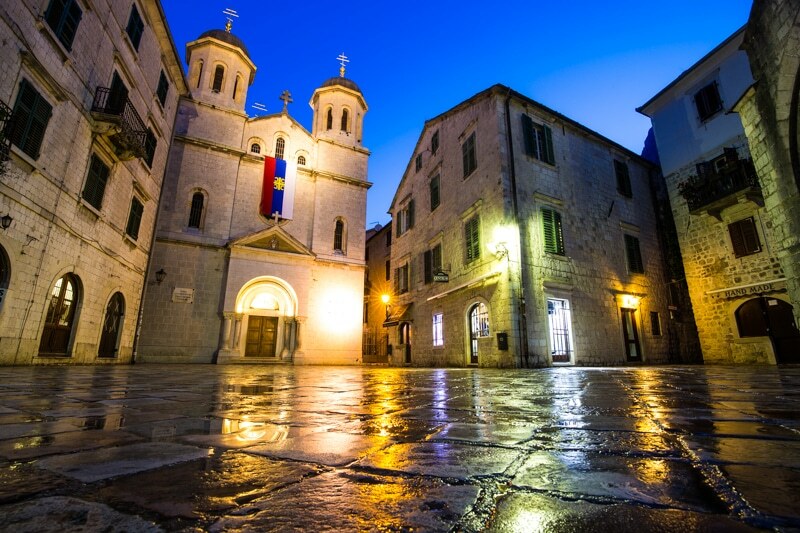 I’ll be heading to Budva, next. Then, I’m off to Bosnia-Herzegovina for a week or two. I’m really looking forward to going back to Sarajevo well also getting the chance to finally spend some time in Mostar. Loved your pictures! Will be going to Montenegro in September and hope you have dining recommendations for Budva, too. Really like what you wrote on Montenegro. Looking forward to see more of your travel notes on Bosnia and Sarajevo. Yeah, I think it’s totally safe. I have a lot of female friends who have spent time there solo and none had issues. Enjoy!